The extraordinary Siddhartha Mukherjee has a written a biography of the gene as deft, brilliant and illuminating as his biography of cancer. 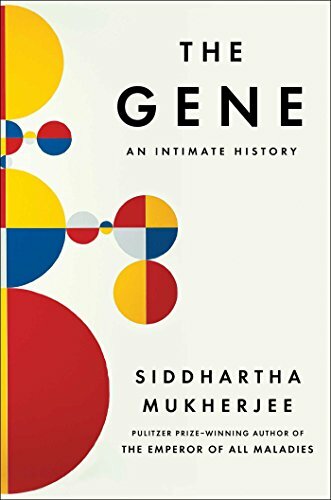 Interweaving science, social history and personal narrative to tell us the story of one of the most important conceptual breakthroughs of modern times, Mukherjee tells the story of our quest to understand human heredity and its surprising influence on our lives, personalities, identities, fates and choices. "This is perhaps the greatest detective story ever told a millennia-long search, led by a thousand explorers, from Aristotle to Mendel to Francis Collins, for the question marks at the center of every living cell. Like "The Emperor of All Maladies, The Gene "is prodigious, sweeping, and ultimately transcendent. If you re interested in what it means to be human, today and in the tomorrows to come, you must read this book." --Anthony Doerr, author of All the Light We Cannot See"